Welcome to a new series of What’s On travels to… Each month we’ll be bringing you a new destination from around the globe that we’re confident you’ll need on your travel bucket list. 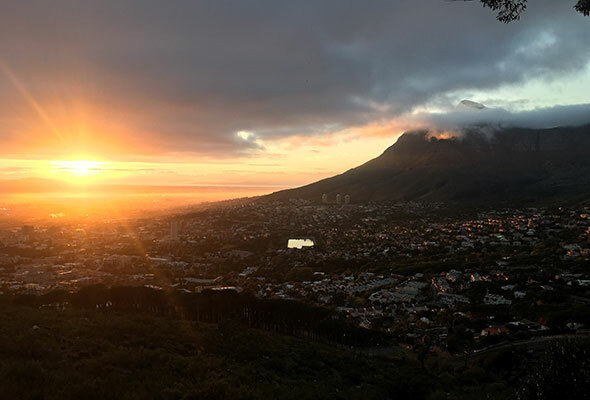 This month, we head to the Cape Town, South Africa’s oldest city. From meeting penguins at Boulders Beach to mind-blowing views of Lion Head to the Victoria & Alfred Waterfront, here’s our guide to things to do in Cape Town. 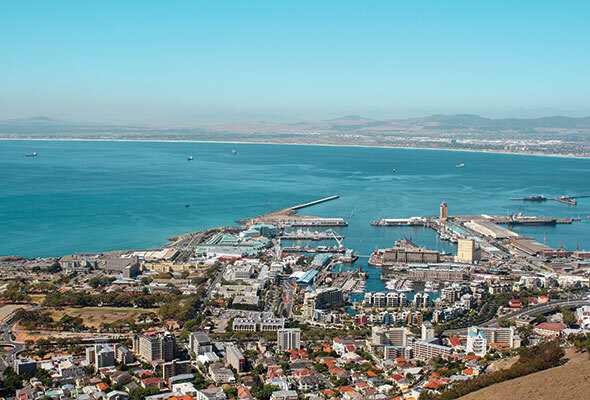 Tucked away between Signal Hill and the Atlantic Ocean, on the north-western edge of the city, are the desirable seaside suburbs of Sea Point and Green Point. The two are linked by a wide, sweeping promenade that’s alive with dogwalkers, joggers and families out to enjoy the broad expanse of blue where sky meets sea. Join the procession on a rental bike from UpCycle in Sea Point, check out the art installations along the way, and stop for a swim at the beach or public pools. The most epic way to see this area, though, is to swoop in on a paraglider. Several companies launch tandem flights from Signal Hill, and it’s a straight-up thrill to soar above the glistening Atlantic, taking in mind-blowing views of Lion’s Head and Table Mountain, before landing right onto the promenade. Stay at The Glen Boutique Hotel & Spa for some laid-back luxury, and be sure to choose a room with sea views. Nestled against the western edge of Table Mountain, Camps Bay is one of the city’s most affluent areas – think shiny, upmarket Malibu vibes as whitewashed mansions terrace their way down towards the popular beach, where whales have been known to come right into shore to wave hello. A buzzing promenade of bars and restaurants are all geared towards the daily spectacle of those glorious African sunsets. Try The Hussar Grill, renowned for its melt-in-the-mouth meat – South Africans, after all, know their steak and you’d be hard-pressed to find a bad one in this gastronomic city. The higher price tag of an Airbnb in this wealthy, Insta-worthy suburb is worth it for a ballin’, beachside villa and its convenient proximity to the city centre. Camps Bay is also a solid starting point for an astonishingly scenic coastal road trip south, past the towering crests of the Twelve Apostles and through Chapman’s Peak. 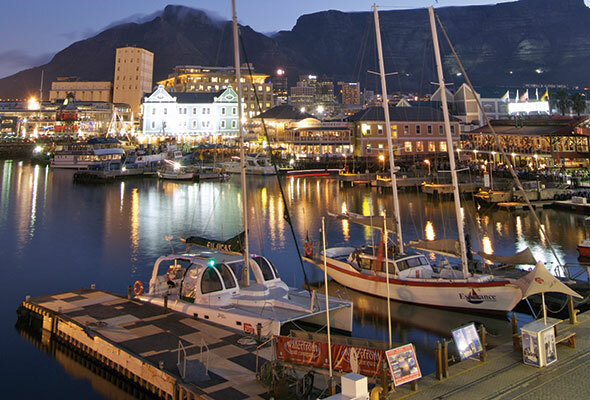 Cape Town proper comprises the area between Table Mountain’s northern slopes and the port, known as the City Bowl. Flanked by the magnificent peak of Lion’s Head, Signal Hill and the Table, it’s a preposterously photogenic urban space. If catching the cable car to the top of Table Mountain seems too easy, there are several hiking trails favoured by active locals. The accessible Lion’s Head hike also offers mind-blowing views of the city. Culturally, there’s much to explore, including the brightly painted historic houses and 200-year-old mosque in Bo-Kaap. The Bo-Kaap Museum is one of the best places to learn about the region’s turbulent history. Capetonians are a cool, friendly bunch, and you’ll find them dining at cosily quirky Kloof Street House before heading out to relaxed bars like The Village Idiot. Stay at Cloud 9 Boutique Hotel & Spa to be close enough to the bustle yet far enough from the hustle, and take in views from the rooftop. East of the city centre is one of Cape Town’s trendiest ‘hoods, Woodstock. This is the creative heart of Cape Town, a melting pot of art and ideas. There’s little pretense here, just an urban hub of authentic artisans, edgy artists and forward-thinking foodies, with plenty of vintage stores and galleries to peruse among the graffitied industrial spaces, as well as uber-cool dining destinations. 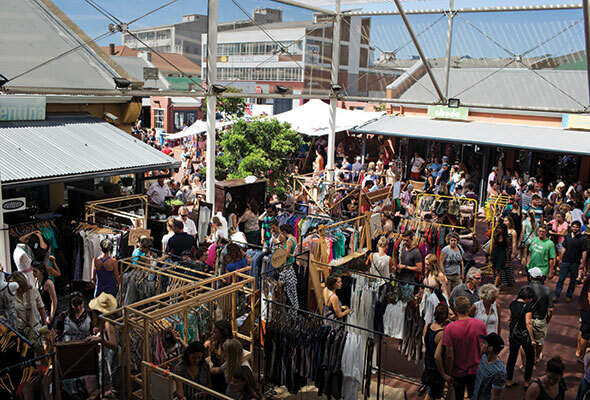 The Old Biscuit Mill offers a focal point, home to fashionable boutique stores and epicurean hotspot The Pot Luck Club. On Saturdays, the Neighbourgoods Market pops up as a foodie paradise – a commotion of tempting stalls whipping up everything from gigantic paellas to steaming trays of dim sum, plus live music and craft stalls to boot. Use the DoubleTree by Hilton Cape Town Upper Eastside as a base from which to explore all the vibey venues in the locale. This artsy, bohemian village south of the city is a relaxed base for exploring the Cape Peninsula. The Cape of Good Hope is where the Atlantic meets the Indian Ocean, and stands as an iconic maritime landmark for sailors rounding the great continent of Africa. Cape Point National Park is home to zebra, eland and an adorable colony of African penguins. 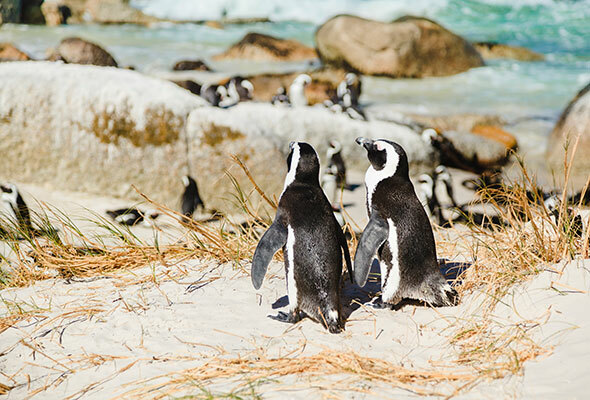 Visit these little guys at Boulders Beach, an extraordinary spot where you’ll share sunbathing space with the penguins that waddle past to frolic in the shallows, for the most part unperturbed by their human companions. Back in Kalk Bay, legendary seafront gastropub The Brass Bell is a must for lunch, and the complex has its own ‘beach’ with a seawater pool. 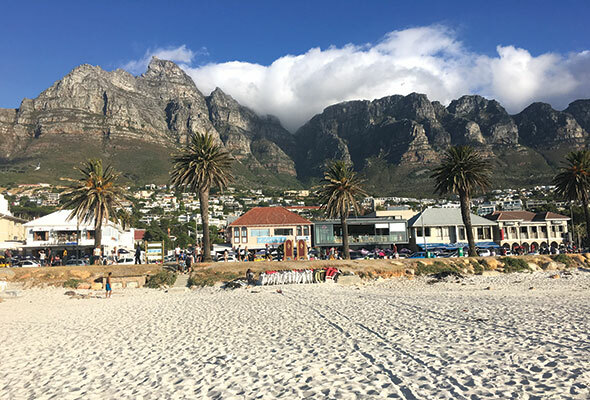 Kalk Bay is also just next door to Muizenberg, where Cape Town’s surfers hang ten, and the breaks on this wide stretch of beach are great for beginners. Stay at The Inn at Castle Hill to experience comfortable, colonial Cape Town vibes. Not so much a neighborhood as a dedicated entertainment complex, the Victoria & Alfred Waterfront is a big draw for tourists. The area hums with the activity of artsy markets, boutiques, food stalls, overpriced souvenir shops and heaving restaurants that overlook the busy port. The Robben Island Museum is also here, where you catch the boat over for a tour. It’s a sobering experience to visit the former prison island that held Nelson Mandela captive for so many years, but it’s also informative and surprising, with hundreds of years of fascinating history to absorb. Back on the mainland, a visit to SA isn’t really complete without a trip to Ocean Basket. This seafood chain restaurant serves up tasty crustaceans and fishy dishes in a relaxed setting, and from here you can swing by the Two Oceans Aquarium to, erm, apologise to our underwater friends. 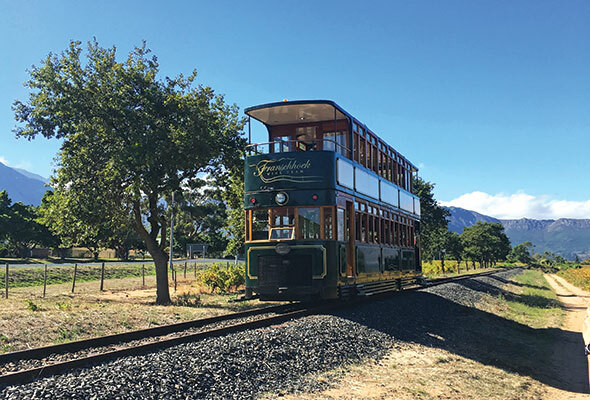 A short drive out of the city is the quaint town of Franschhoek, known for its colonial charm, established vineyards and unbelievable natural beauty. Soak up the Cape Dutch architecture with a spot of shopping and café hopping in town, or jump on the special tram that takes you out to the surrounding vineyards. The area has been a bountiful spot for growing grapes for several hundred years and has an interesting history. 1. South Africa is an affordable destination, so your Dirhams will go far. 2. Emirates flies direct from Dubai to Cape Town three times a day, and return flights start from around Dhs3,500. 3. Uber is a decent and cheap way to get around this sprawling city. 4. Driving (on the left) is relatively straight-forward and renting a car is reasonable, as is hiring a driver. 5. As in any major city, take precaution with your belongings.